Carson Boxberger is a accomplished law firm in Indiana with a proud history. Despite many decades of past successes, CB has always been known as forward-thinking, creative, and full of energy. It was those exact characteristics of the firm's brand that informed their innovative responsive design. Disclaimer: Designed under employment by FindLaw, a Thomson Reuters business. Strong calls-to-action combined with a persistent presence of existing identity components make up Carson Boxberger's consumer-focused design strategy. 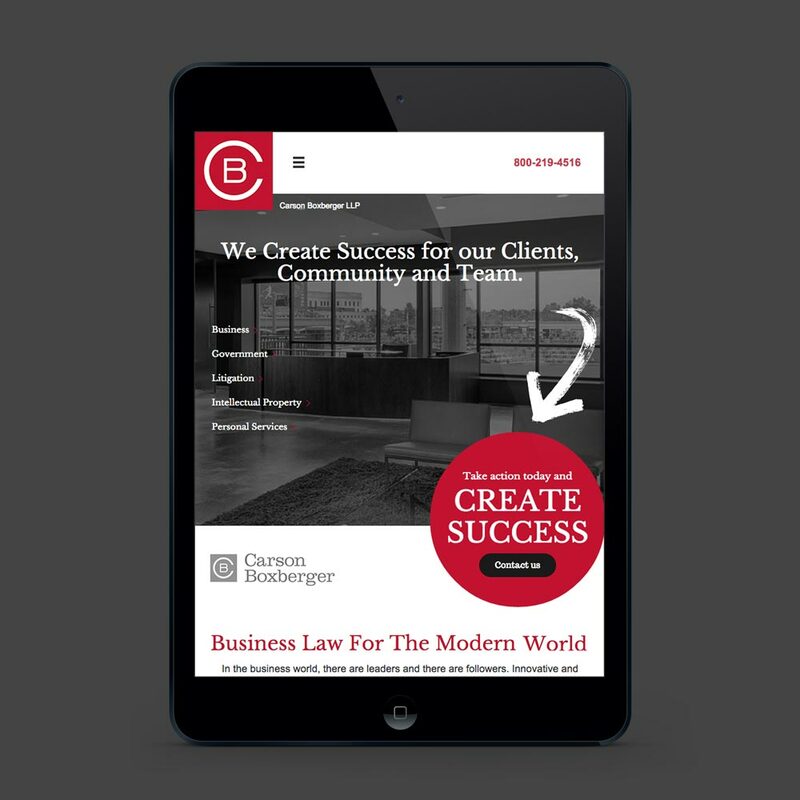 A lean responsive design gives potential clients quick-and-easy access to the firm's contact information no matter what device they're using.